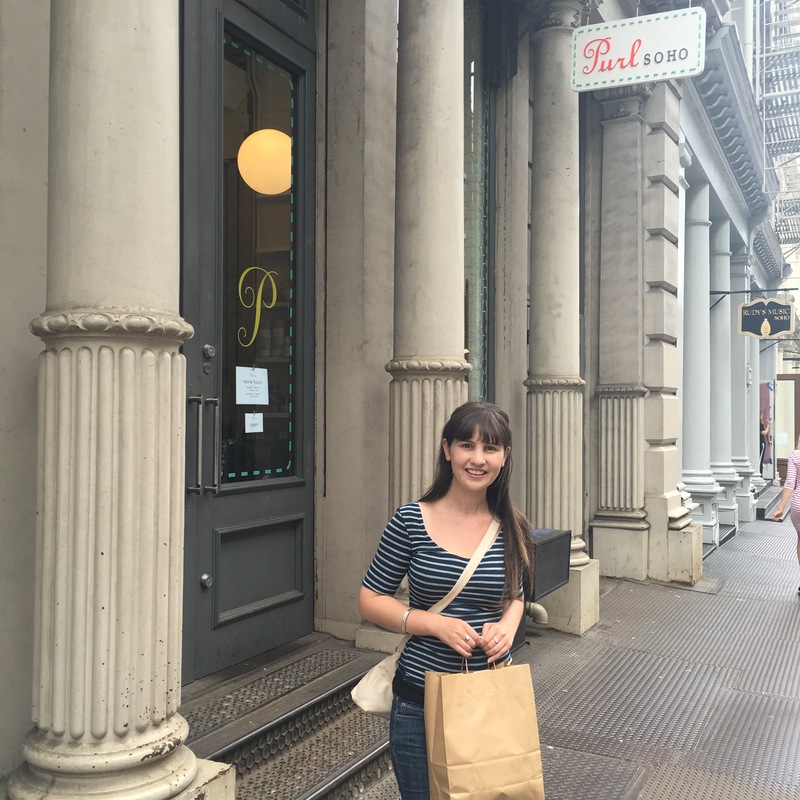 I wanted to visit Purl Soho for a while now. Their website and Instagram just seemed to high end and cool. We decided to walk from the One World Tower so it took about 20-30 minutes. The shop was cozy and bright. They sell fabric as well, so it was full of really pretty stuff. There was some really nice yarn which was about $97 and I was very very tempted. I resisted though hahaha. Purl Soho have their own range of cottons so I had to grab a couple of balls to try it. I also got a very nice project bag. I would say this place is slightly more high end than the other shops I visited. The colours were muted and the yarns were all soft and unique. They also sell kits for projects which were a bit out of my price range.